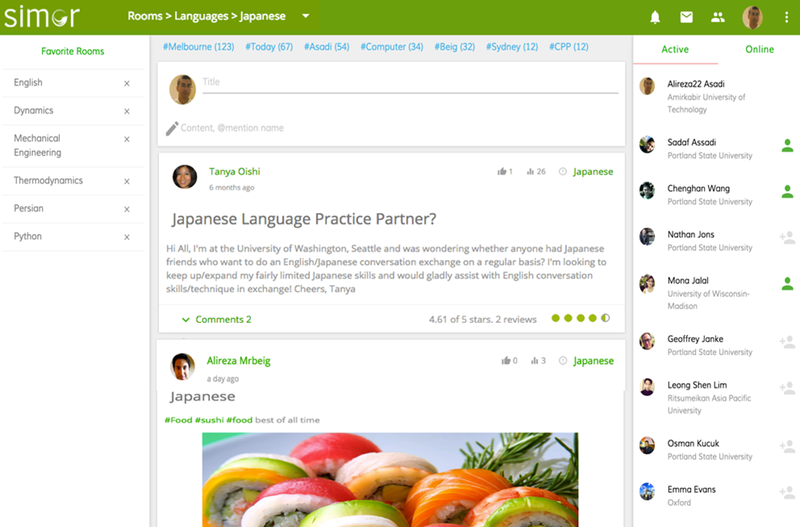 Simor is a great tool for you to connect with native and non native Japanese speakers. It allows you to connect with like-minded people from all over the world. In Simor rooms, you can find a Japanese room where people instantly share their interests, questions, answers and thoughts on Japanese culture, language, food, cities, and more. 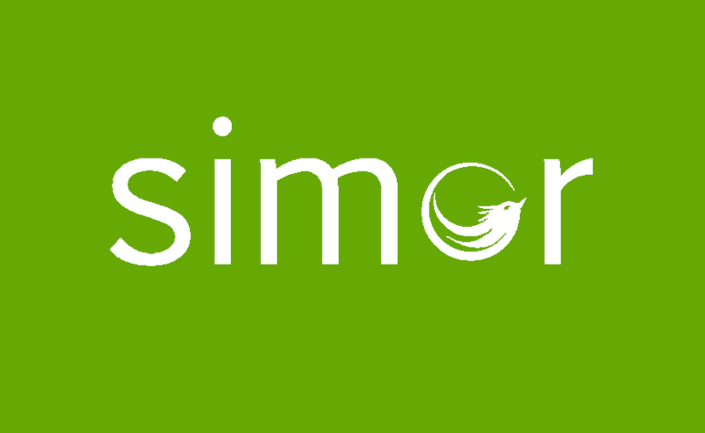 Simor is an online intellectual network located at Simor.org. Registration and all the services that the Simor team provides are forever free and there is no premium account. You connect for free and share for free with people who have the same interest as you. It is really easy to connect to the network via either your Facebook or Linkedin account. The platform allows you to build a network of intellectual peers across various topics that interest you, including Japanese. 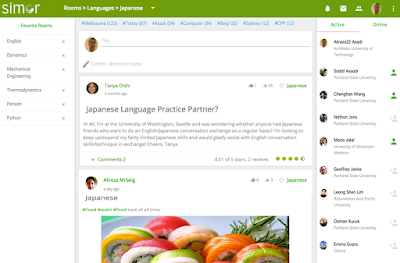 You can add friends and colleagues to your network and follow them as they post, questions and answers.The Japanese room allows you to connect with native speakers or others learning the language. The rooms are a lot of fun and are both informative and interactive. 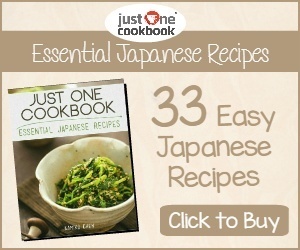 It is easy to log into the Japanese room and find new people who have a love for Japanese culture, language, food, etc. An innovative chat room instantly connects you efficiently to new people and your favourite content. Unlike other social networks where "About" is age, gender, or nationality related, on Simor, "About" is your knowledge on different subjects. Creating your profile is quick and easy and it is fun to discover all the different rooms available that interest you. Simor has launched into the top 50 universities in the USA and starting today (October 1st, 2016) it gives access to Facebook and Linkedin users.